George Fox University's Doctor of Physical Therapy (DPT) degree is a three-year graduate-level professional program that will prepare you to be eligible for licensure and entry into contemporary physical therapy practice. Demand for physical therapists is expected to increase, according to the Occupational Outlook Handbook, a document created every two years by the U.S. Department of Labor. According to the 2015-16 Handbook, employment of physical therapists is expected to grow 12% between 2014 and 2024. We are one of only two physical therapy schools in Oregon and one of just six governing members in the Council for Christian Colleges & Universities (CCCU) to offer a Doctor of Physical Therapy degree. 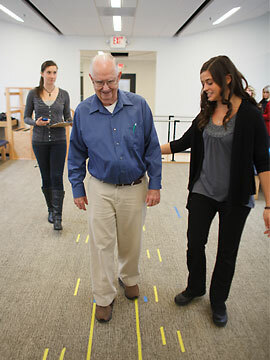 We are also the only Christian university in the Pacific Northwest with a physical therapy program.